Thie week seems to have just zipped by and it's already thursday. 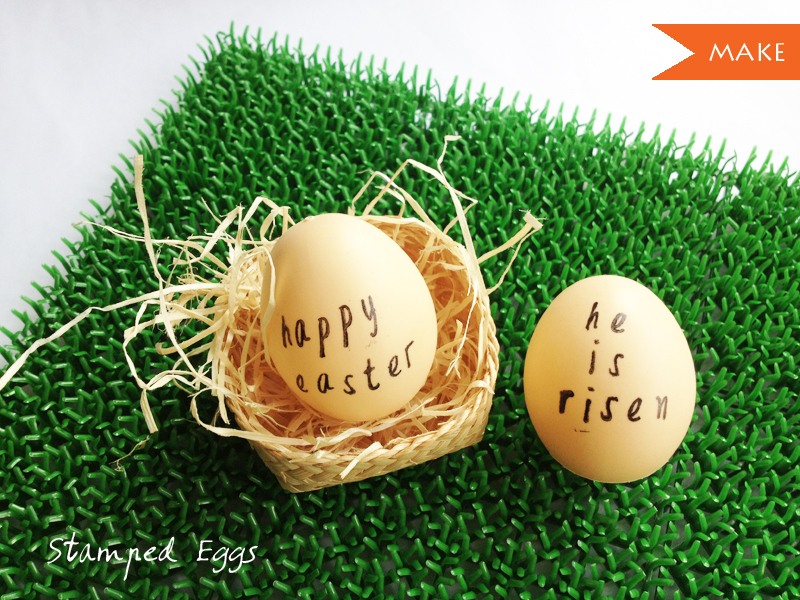 I'm popping in to share this simple DIY idea where I hand-stamped short messages on plastic eggs. I'm thinking of gluing on a string next year and adding them to the easter egg tree. Well, tomorrow is Good Friday and I will be taking a little break on the blog but I will be back on Monday so see you back here soon.